Streamline your absence notifications with the world’s leading, most powerful and flexible parent absence communication solution. Used by over 1,200 schools and 1.6 million students, messageyou is a proven tool to sustainably improve student attendance by 20%-80%, reduce unexplained absences, improve student safety and save schools money. School staff will never need to spend countless hours on attendance calls or manually sending and processing mobile messages again. 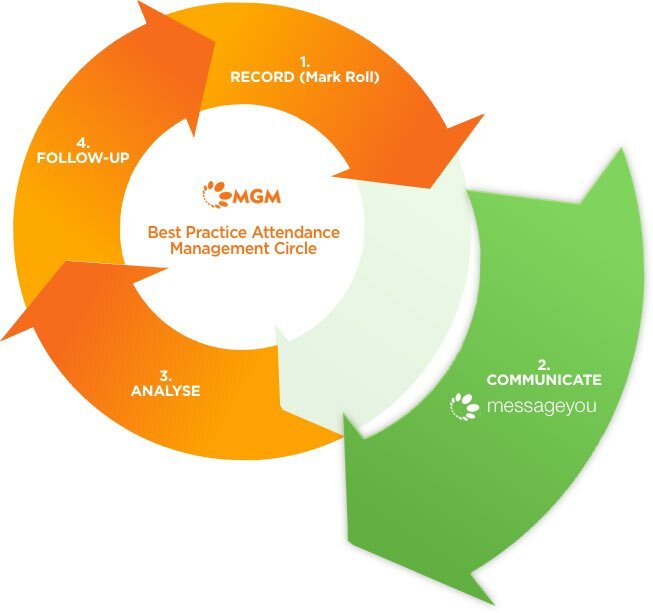 Messageyou forms the starting point of your best practice attendance management. It performs the critical parent communication process. Messageyou fully integrates with MGM’s WatchLists attendance analytics and school leadership attendance follow-up software to complete your best practice attendance management framework. Determining which parent(s) or caregiver(s) to send the notification is not always straightforward. Separated, amalgamated and other family structures, with complex custody, sharing or employment arrangements, can make determining which is the right caregiver to notify, extremely challenging. Messageyou sophisticated algorithms take care of this automatically and correctly for you. 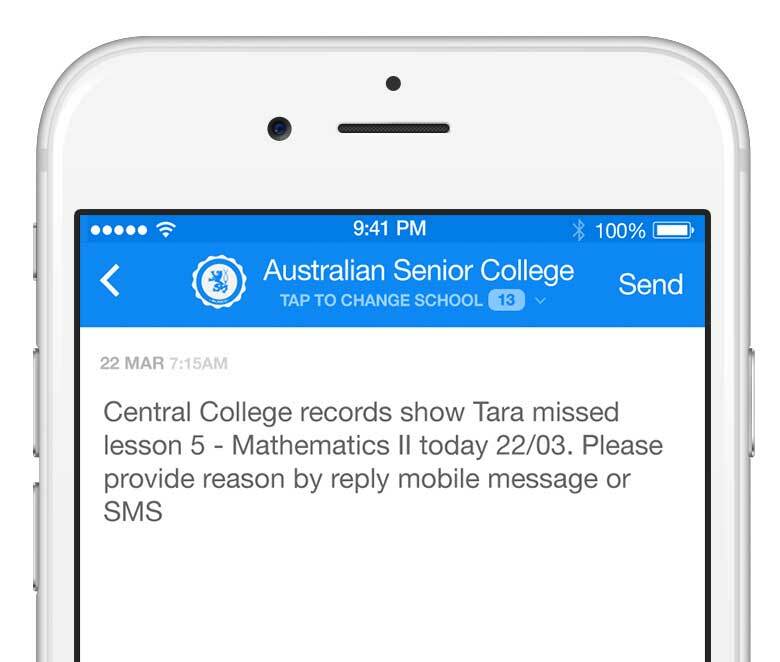 Messageyou intelligent behaviour management monitoring technology will automatically construct and personalise every messages to reflect the unique personal circumstances for each student and absence type. For example, for a student who is rarely absent, a friendly and supportive personalise message will be sent, but for recidivist behaviour, a sternly worded personalised message for the parent to see the principal may be sent instead. If a student doesn’t arrive to school when expected, their safety is at risk. They also miss important learning opportunities. Rapid and reliable notification to parents of unexplained absences is critical. Messageyou performs this task in reliable and personalised way, improving student safety and minimises your school’s risk and liability exposure. The costs of school staff managing unexplained student absences add up fast. 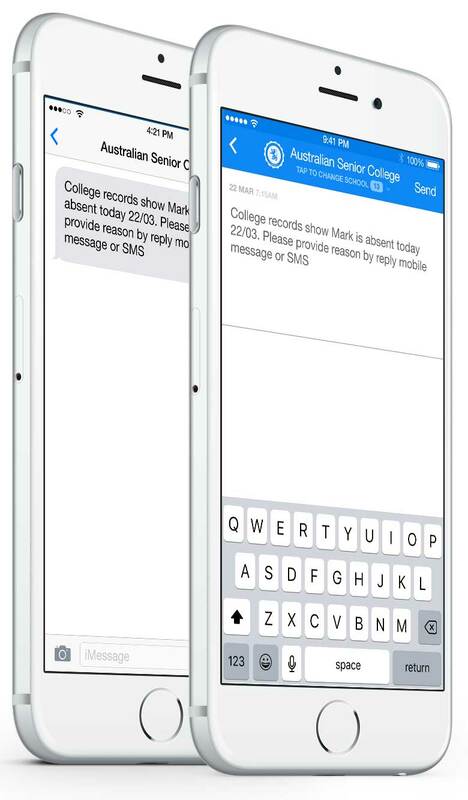 Messageyou dramatically reduces unproductive time school staff spend calling parents. Enrolment drop-offs due to unacceptable attendance are reduced. With messageyou, students just don’t slip through the cracks. Messageyou comes with low-cost in-app, secure 2-way mobile messaging with automatic switchover to SMS (for those parents without the School Star App, no mobile data, Wi-Fi or when an in-app message is not read in 5 minutes). Email and landline text-to-voice is also included for schools where there’s poor mobile reception. Messageyou reliably and securely communicates to all parents and provides message confirmation receipts to verify your attendance notifications have been sent, delivered and read by Parents. messageyou is a low cost-to-own system to own and operate. Affordable for every school type, messageyou typically pays for itself in under 3 months. The School Star App, including no cost in-app messages are provided at no charge. 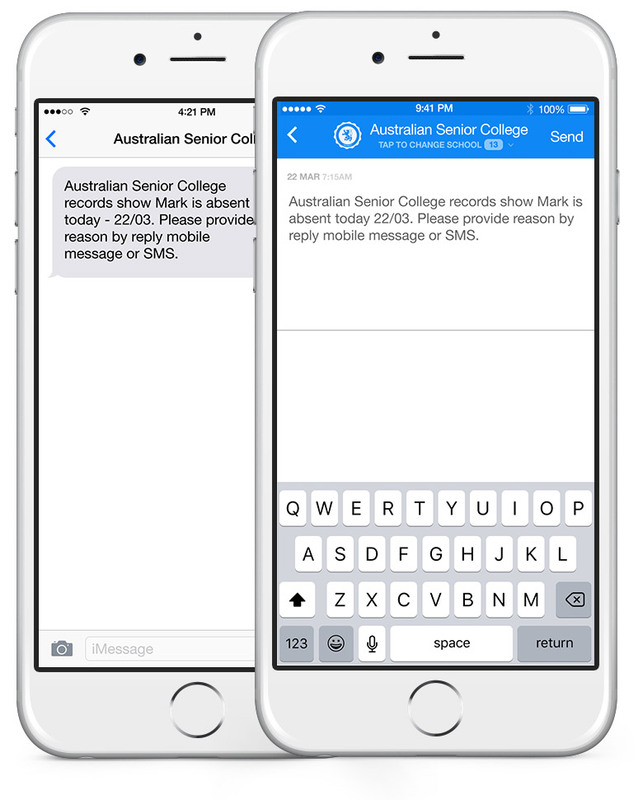 Messageyou is a proven solution suitable for the most complex absence behaviours and student timetables. It will save your school staff hundreds of hours each year, streamline your attendance communication and sustainably improve student attendance, reduce unexplained absences improve student learning outcomes. Using messageyou is removing the work school administrators, leaders or your principal needs to carry out each day. No more individually researching every aspect of the students personal and family circumstances and behaviour, then drafting and sending a personalised message for every student every day.